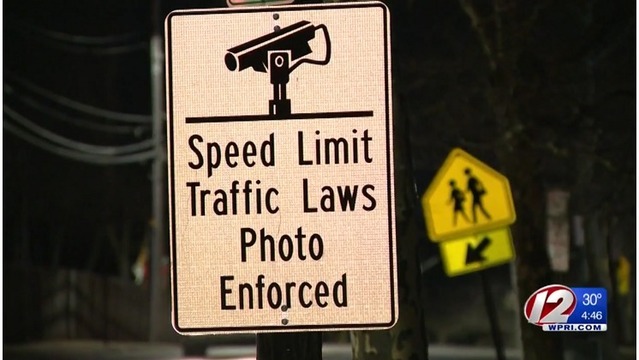 PAWTUCKET, R.I. (WPRI) — Pawtucket is poised to become the second community in Rhode Island to install speed cameras in school zones, though city officials haven’t decided how many cameras will be installed or where they will be located. Goncalves said police regularly receive complaints about speeding in school zones, and said enforcement is challenging. “Unfortunately, just how busy the department is and the city is, sometimes – I don’t want to say impossible – but sometimes it’s difficult to get officers out there at specific times,” Goncalves said. Pawtucket announced its contract with camera company Sensys Gatso USA, Inc. in December, and said the speed cameras would likely be installed by February. Now city officials say they’re targeting a springtime launch. According to Pawtucket’s contract with Sensys Gatso USA, Inc., the city will pay $2,500 per month per camera plus $7.30 for each violation that’s issued. Per state law, there will be a 30 day warning period, and fines will be capped at $50. Goncalves said it’s too early to estimate the revenue that will be generated. “It’s really about keeping the children around the school safe,” Goncalves said. Violations will be reviewed by Pawtucket police officers, but the camera company will manage the collection of fines. According to the contract, violators who fail to pay could face steep collection fees and non-renewal of their licenses through the RI DMV. The contract is a five year deal, with a five year extension option. Last year, Providence faced backlash from drivers and state lawmakers when Target 12 revealed the city’s speed cameras generated more than 12,000 tickets in the first 33 days in operation. In the weeks and months following, tickets were dismissed because of errors, Providence settled a class action lawsuit by agreeing to partially refund thousands of drivers, and state lawmakers overhauled the law that allows speed cameras to operate. In 2018, Providence issued more than 63,000 speed camera tickets and collected about $3.2 million in fines. Susan Campbell (scampbell@wpri.com) is the Call 12 for Action and Target 12 consumer investigator for WPRI 12 and Fox Providence. Follow her on Twitter and on Facebook.